With time, we can see that the scenario in the Nepali film industry has also been changing. 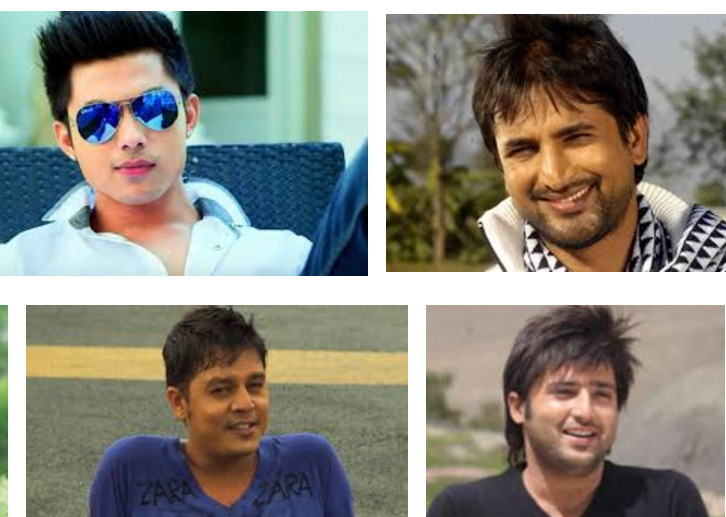 Along with these, many new actors have embarked on the avenue of their acting career in the Nepali film industry. They have been trying to hone their acting skills so that they can blend themselves into the story of the movies. In this long run of the Nepali filming industry, there have come many actors with their dreams of being on the top list. As such, there are some actors who have created an impression in the heart of the audiences. With new faces, there has been new popularity too. Anmol K.C. : Not only is he an actor but is also a producer and a model. He has been successful and able to win hearts of many people right from his debut film �Hostel� in 2013. He is popular among the young girls of Nepal because of his looks as well. He has appeared as a lead actor in the movies like Hostel, Jerry, Dreams and Gajalu. It has also come to be known that he has become the most paid actor in Nepali film industry currently. He has also won many awards in spite of little movies that he has acted on. He followed his father, Bhuwan K.C.’s steps and entered in the Nepali industry and the journey has been going on smoothly for him. Saugat Malla: One of the most versatile and talented actor in the Nepali film industry, Saugat Malla got the hold of the limelight because of his role of �Haku Kale� in Loot in 2012. He made his debut with the movie �Kagbeni� in 2008. He has played in many other movies like Highway, Chhadke, Kabaddi kabaddi, Sadanga, etc. And his acting has never failed to impress the viewers. His acting has been praised in every movie of his. Dayahang Rai: Dayahang Rai is among the most popular actors in Nepal currently. He played his first leading role in the movie �Anagarik� in 2006. He has played many movies after that and the most successful ones are Loot, Chhadke, Jholey, Talakjung vs Tulke, Kabaddi Kabaddi, etc. His acting in the movies are natural and people like him because of that attribute. Aryan Sigdel: He started his filming career with the movie �Kismat� in 2007. He is popular among the people for his good looks and also for his roles in the romantic movies. Since 2007, he has played in wide range of movies. He has also received many awards in his film career. The super hit movies of Aaryan Sigdel are November Rain, Classic and Homework. Rajesh Hamal: The only super star of Nepali film industry, Rajesh Hamal is known to all the Nepalese people and his fame does the justice for his incessant contribution in the Nepali film industry. His first movie was �Yug Dekhi Yug Samma� in 1988. Till date he has worked in more than 230 Nepali movies and has been awarded numerous times too. His popularity has not ebbed a bit since his first movie. He is a reverential figure in Nepali movie industry. Nikhil Upreti: His first movie was �Pinjada� released in 2000. In the movie he jumped off a 7 storied building. Right from his first movie he got the label of �Action hero� and he has been maintaining that pretty well. People are fond of his fights and action shots in the movies. Until now, he has worked in more than 110 movies. Some of his movies are Dhadkan, Nikhil Dai, Hami Tin Bhai, Krodh, Desh Dekhi BIdesh, Bhairav, Radhe, etc. Jiwan Luitel: Making the debut with the movie �Tirkha� in 2007, Jiwan Luitel was also the winner of the title Mr. Nepal in 2002. Till date he has worked in more than 65 Nepali movies. He has made a record by winning 5 film awards in a single year, along with best youth national award in the history of Nepali Cinema. Some of his movies are Sano Sansar , mero euta Sathi Cha, Malati ko Bhatti, Notebook, etc. Pradip Khadka: One of the young actors who started his career in 2011 is also a filmmaker. He made a debut with the movie �Escape� from his own production company and also produced a movie �Thulo Manche� but they were commercially a failure. He earned his fame with the movie �Prem Geet� in 2015. Vinay Shrestha:� Vinay Shrestha is one of the popular Nepali actors. He is also an equally successful model high on Fame, Looks, Personality, Talent. His looks, right expressions and his acting skills are the factors behind his success. He is known for his movies like Visa Girl (2012), Resham Filili (2015) and Highway (2012).